Kévin Estre is a Porsche works driver in the grand touring category, at the summit of the endurance pyramid since 2016. This year, the man from Lyon scored what is the greatest victory in his career so far at the wheel of the 911 RSR in the emblematic Pink Pig livery. 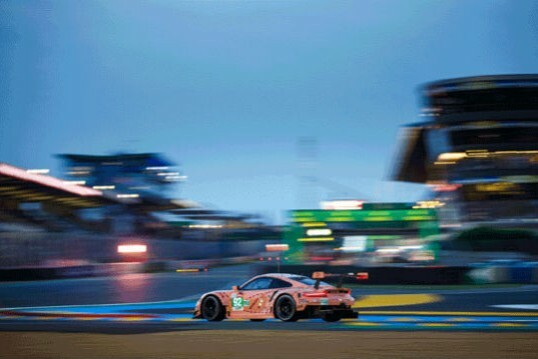 He went on to stand on the topmost step of the podium in LM GTE Pro at the Le Mans 24 Hours with Laurens Vanthoor and his regular teammate Michael Christensen. The French-Danish pairing have finished in the top 3 in the first five rounds of the world endurance championship (FIA WEC) and have built up a good lead in the provisional classification. So it’s time to have a look back at the 2018 season even if there are still three races to come in 2019, Sebring, Spa, and Le Mans, to reach the end of the FIA WEC Super Season, which is spread out over more than a year! How come? The 2018 and 2019 Le Mans 24-Hour races count for the same world championship: it will remain a unique case in the annals. So those who don the crown will fully deserve it! At present, Kévin Estre and Michael Christensen have a 43-point lead. A victory is worth 25 points and the Sebring 1000 Miles and the Le Mans 24 Hours have a coefficient of 1.25 and 1.5 respectively.